The Free Guide to California RV Parks & Campgrounds! 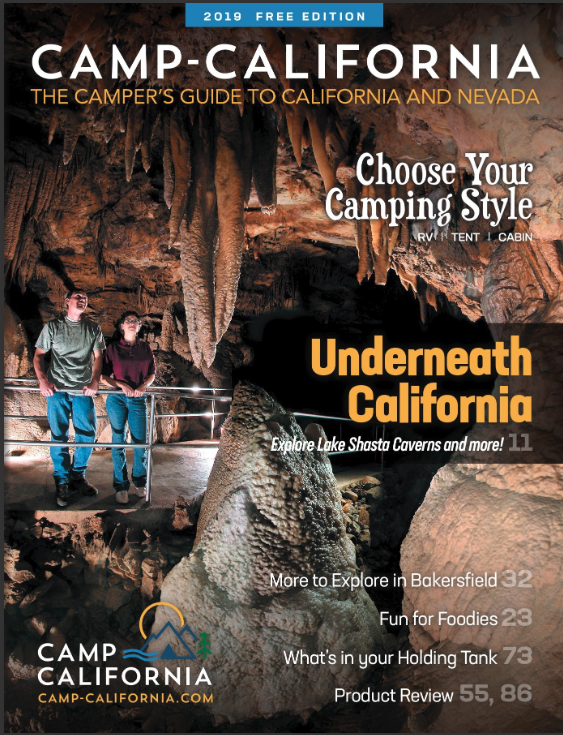 Get your free copy of the 2019 Camp-California Campground Guide! This remarkable free campground directory is available as a FREE download, as a printed booklet mailed to you, or pick up a free guide at many locations, listed below. Find your perfect camping destination with Camp-California! Campland on the Bay: amenities, activities, action!